“[B]aseline estimate of probable fraud in payments for home health care services in the fee-for-service Medicare program.” 42 U.S.C. 1395b-1(a)(1)(J). On June 8, 2016, CMS announced in the Federal Register (81 Fed. Reg. 37598) that five states would be part of the new Pre-Claim Review Demonstration. These states included: Illinois, Florida, Texas Michigan and Massachusetts. While the program was implemented in Illinois on August 3, 2016, the rest of the implementation schedule was delayed due to a variety of implementation-related problems. CMS has recently announced that the Pre-Claim Review Demonstration Project will be resumed and that it will be implemented in Florida on April 1, 2017. While no implementation dates have been announced yet for Texas and the remaining test states, Texas home health providers could conceivably be facing this program as early as May 1, 2017. In addition to providing an overview of the home health Pre-Claim Review Demonstration Project, this article examines the primary reasons for claims denial identified so far by Illinois home health agencies. In this first article, we are focusing on the denial reasons associated with errors identified with face-to-face and plans of care / certification / recertification documentation. I. What are Medicare’s Home Health Benefit Requirements? 2) Leaving home requires a considerable and taxing effort. 2) The person has a condition such that leaving his or her home is medically contraindicated. 1) Occur no more than 90 days prior to the home health start of care date or within 30 days of the start of the home health care; and be related to the primary reason the patient requires home health services and was performed by a physician or non-physician practitioner. The physician certification was invalid since the required face-to-face encounter document was missing (actual clinical note for the face-to face encounter visit for admissions on or after 1/1/15, or the narrative for admissions on or after 4/1/11and before 1/1/15) Refer to CMS IOM Publication 100-02, Chapter 7, Section 30.5.1.1 and 30.5.1.2. The Plan of Care was missing. Refer to CMS IOM Publication 100-02, Chapter 7, Section 30.2. The content of the Plan of Care submitted was insufficient. Refer to CMS IOM Publication 100-02, Chapter 7, Section 30.2.1. The Plan of Care submitted was not signed timely by a qualified physician. Refer to CMS IOM Publication 100-02, Chapter 7, Section 30.2.4. The physician certification/recertification submitted does not support skilled need. Documentation in the certifying physician’s medical records and/or the acute/post- acute care facility’s medical records (if the patient was directly admitted to home health) shall be used as the basis for certification of home health eligibility. Refer to CMS IOM Publication 100-02, Chapter 7, Section 30.5 and 42CFR 424.22 (a) and (c). The physician certification / recertification submitted does not support homebound status. Documentation in the certifying physician’s medical records and/or the acute /post-acute care facility’s medical records (if the patient was directly admitted to home health) shall be used as the basis for certification of home health eligibility. Refer to CMS IOM Publication 100- 02, Chapter 7, Section 30.5 and 42CFR 424.22 (a) and (c). The physician recertification estimate of how much longer skilled services are required is missing. Refer to CMS IOM Publication 100-02, Chapter 7, Section 30.5.2. The home health agency generated record contained relevant clinical information addressing the “confined to the home” (homebound) eligibility requirement, which was corroborated by the certifying physician or the acute/post-acute facility documentation, but was NOT signed and dated by the certifying physician. Please have the certifying physician sign and date the relevant HHA-generated information and resubmit. Refer to CMS IOM Publication 100-08, Chapter 6, Section 6.2.3. The home health agency generated record contained relevant clinical information addressing the “need for skilled services” eligibility requirement, which was corroborated by the certifying physician or the acute/post-acute facility documentation, but was NOT signed and dated by the certifying physician. Please have the certifying physician sign and date the relevant HHA-generated information and resubmit. Refer to CMS IOM Publication 100-08, Chapter 6, Section 6.2.3. Home health agencies in Florida, Texas, Michigan and Massachusetts should carefully review the denial reasons outlined above and conduct internal audits of your home health claims documentation to determine whether your agency’s documentation is complete. The experiences of home health agencies in Illinois can be invaluable to your efforts to better ensure the full compliance of your agency with applicable statutory and regulatory requirements. In future installments of this article, we will examine other reasons for denial seen by Illinois home health agencies. Robert W. Liles, M.B.A., M.S., J.D., serves as Managing Partner at Liles Parker, Attorneys & Counselors at Law. Liles Parker is a boutique health law firm, with offices in Washington DC, Houston TX, San Antonio TX, McAllen TX and Baton Rouge LA. Robert represents home health agencies around the country in connection with Medicare audits and compliance matters. Our firm also represents health care providers in connection with federal and state regulatory reviews and investigations. For a free consultation, call Robert at: 1 (800) 475-1906. (September 20, 2016): On August 3, 2016, the Centers for Medicare and Medicaid Services (CMS) implemented its “Pre-Claim Review Demonstration” project in Illinois. This demonstration project effectively requires that Illinois home health agencies submit home health claims for review by the Medicare Administrative Contractor (MAC) or face possible penalties (and be forced to have the claim evaluated through the pre-payment process). As part of the pre-demonstration project, home health agencies are required to submit a complete set of medical records which show that the claim at issue is associated with medically necessary services, meets applicable documentation requirements, qualifies for Medicare coverage and has been coded and billed correctly. As the demonstration project has been rolled out in Illinois, many home health agencies have experienced problems with the “affirmation” process. It has been reported that the MAC has allegedly “missed” documentation that has been submitted and that very few of the claims reviewed have been affirmed by the reviewing contractor. While CMS has not address these specific points, it has acknowledged that additional refinements in the program are required before expansion can continue. Earlier today, CMS announced that the home health pre-claim review demonstration project is temporarily being placed on hold to allow for additional provider education efforts to be conducted. These provider educational efforts are expected to focus on the main reasons that pre-claim requests have been “non-affirmed” and the documentation that is required to support a home health claim. Additional information regarding the home health pre-claim demonstration review project is set out below. Under the pre-claim review demonstration process requires home health agencies are strongly encouraged to request a preliminary confirmation of coverage by submitting home health claims and associated clinical documentation, for review after services have begun but before the final claim for services is submitted for payment. The home health pre-claim review process is designed to better help ensure that applicable medical necessity, documentation, coverage, coding and billing rules are met before a claim is submitted to Medicare for payment. The pre-claim review process does not create new clinical home health documentation requirements. Rather, home health agencies are only required to submit the same information they currently maintain for payment. As mentioned, they will do so earlier in the process, which will help assure that all relevant coverage and clinical documentation requirements are met before the claim is submitted for payment. CMS contends that the pre-claim review process will not delay care to Medicare beneficiaries and will not alter the Medicare home health benefit. Home health agencies in one of the five demonstration states have been advised that if they do not submit their claims through the pre-claim review process, those claims will be flagged for prepayment review and will essentially treated like an ADR. Moreover, after the first three months of the program, even if found to qualify for coverage and payment, CMS intends to reduce payment by 25% on each claim that is not submitted through the pre-claim demonstration review process. The decision by CMS to postpone the implementation of the pre-claim review demonstration in Florida was influenced, in large part, by the advocacy of supportive political and home health industry groups. The postponement of the pre-claim review demonstration project is a major victory for health care providers in Florida, Michigan, Massachusetts, and Texas. Unfortunately, However, the implementation of the demonstration project is inevitable so providers should continue to prepare for the impact it will have on their health care practice. The exact start dates for Florida, Michigan, Massachusetts, and Texas have yet to be announced, but the dates will be provided on CMS’ website at least 30 days in advance to the implementation. Providers can expect a staggered start beginning with Florida, which provides additional time for preparation. Robert W. Liles, M.B.A., M.S., J.D., serves as Managing Partner at Liles Parker, Attorneys & Counselors at Law. Liles Parker is a boutique health law firm, with offices in Washington DC, Houston TX, San Antonio TX, McAllen TX and Baton Rouge LA. Robert represents home health agencies around the country in connection with Medicare audits and compliance matters. 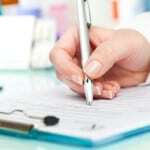 Our firm also represents health care providers in connection with federal and state regulatory reviews and investigations. For a free consultation, call Robert at: 1 (800) 475-1900. See the Palmetto GBA website for helpful resources, available at http://www.palmettogba.com/palmetto/providers.nsf/docsCat/Providers~JM%20Home%20Health%20and%20Hospice~Home%20Health%20Pre-Claim%20Review. (August 23, 2016): The home health pre-claim review demonstration project has now started and will be in place for at least the next three years. How did we get to this point? Unfortunately, this demonstration project was initiated (in large part) based on the fact that improper payment rate for home health claims has gone 17.3 % in FY 2013 to 51.38% in FY 2014 and 58.95% in FY 2015. The Center for Medicare and Medicaid Services (CMS) has primarily attributed this increase due to the failure of home health agencies (and their referring physicians) to fully meet documentation requirements to support the medical necessity of the services. Section 402(a)(1)(J) of the Social Security Amendments of 1967 authorizes the Secretary for the Department of Health and Human Services (HHS) to develop demonstration projects that “develop or demonstrate improved methods for the investigation and prosecution of fraud in the provision of care or services under the health programs established by the Social Security Act.” Consistent with this authority, on February 5, 2016, the Centers for Medicare and Medicaid Services (CMS) published notice in the Federal Register that it intended to collect information that would be used by the agency to serve as a “baseline estimate of probable fraud in payments for home health care services in the fee-for-service Medicare program.” This baseline is to be comprised of information gathered from home health agencies, referring physicians and Medicare beneficiaries. On June 8, 2016, CMS announced in the Federal Register (81 Fed. Reg. 37598) that five states would be part of the new Pre-Claim Review Demonstration project. For these states, preapproval is being required before final home health claims can be submitted. Florida (no later than October 1, 2016). Texas (no later than December 1, 2016). Michigan (no later than January 1, 2016). Massachusetts (no later than January 1, 2016). II. What is CMS Telling Medicare Beneficiaries About the Pre-Claim Review Project? (2) Leaving home requires a considerable and taxing effort. (2) You have a condition such that leaving your home is medically contraindicated. III. What is Palmetto GBA Telling Certifying Physicians and Practitioners? Have a face-to-face encounter with a medical provider as mandated by the Affordable Care Act for the initial episode of care. IV. Is Participation in the Pre-Claim Review Project Really Voluntary? “If a Home Health Agency in a demonstration state does not submit a Pre-Claim Review request, the final claim will be subject to pre-payment review. . . If no Pre-Claim Review request was submitted and the claim is determined through pre-payment medical review to be payable, it will be paid with a 25 percent reduction of the full claim amount. . . The 25 percent payment reduction is non-transferable to the beneficiary. . . The 25 percent payment reduction is not subject to appeal.“ (emphasis added). V. How Will a “Request for Anticipated Payment” (RAP) be Handled? RAPs are not subject to the Pre-Claim Review process. At this time, no changes in the RAP submission process is anticipated – RAPs should be submitted in the normal process — there will not be any changes in the process and payment of a RAP. A home health agency must submit a final claim within 120 days of the start of the episode OR 60 days after the paid date of the RAP. Please keep in mind, if a final claim has not been submitted in a timely fashion, the RAP will continue to be automatically cancelled. VI. How Will a “Low Utilization Payment Adjustment” (LUPA) be Handled? LUPAs occur when four or fewer visits are provided in a 60 day episode. LUPAs are not subject to the Pre-Claim Review process. VII. How Should Services With Modifier GY be Handled? Home health services that are not covered by Medicare should be appended with a GY Modifier. This modifier reflects the fact that the item or service does not meet the definition of a Medicare covered benefit. Home health services billed with a GY Modifier are not subject to Pre-Claim Review. VIII. How Should Services With Modifier GA be Handled? Use of a GA Modifier indicates that that a provider expects an item or service to be denied because it is not reasonable and necessary. The most common example of this situation would be for home health services that do not appear to meet the requirements under the applicable LCD. It is appropriate to report this modifier when a beneficiary refuses to sign an ABN. Importantly, the presence or absence of the GA Modifier does not influence Medicare’s determination for payment. Therefore, Pre-Claim Review IS STILL REQUIRED for home health services billed with a GA Modifier. IX. When Will Home Health Services in Texas be Subject to Pre-Claim Review? Recertifications of care. If a beneficiary is discharged and readmitted to the same agency within the same 60-day episode of care, these claims are subject to the Pre-Claim Review process. If a new admission (start of care OASIS) is required, a new Pre-Claim Review request must be submitted by the agency. If a beneficiary transfers to another home health agency during a 60-day episode of care, the RECEIVING home health agency must submit a Pre-Claim Review Please note, even if a beneficiary with a “provisionally affirmed decision” transfers to another home health agency during the same 60-day episode of care, the RECEIVING home health agency must still submit its own Pre-Claim Review request. X. What Happens When a Claim is Submitted for Pre-Claim Review? The UTN that has been assigned to the episode / decision. A detailed explanation of which requirements were not met (if any). Importantly, a provisional affirmation decision is only a preliminary finding that a future claim submitted to Medicare for the service likely meets Medicare’s coverage, coding and payment requirements. A provisional affirmative decision only applies to the episode for which the Pre-Claim Review request was submitted. XI. What Happens When Some HCPCS Codes Are Affirmed and Some are Denied? Submit the final claim with all the HCPCS codes with the UTN and the provisionally affirmed HCPCS will approve for payment and the non-affirmed HCPCS will deny with appeals rights. Resubmit the PCR for the non-affirmed HCPCS codes which would result in a new UTN based on that decision which would then need to be used on the final claim. XII. What Does it Mean When a Non-Affirmed Decision is Issued by Palmetto? The UTN for the non-affirmed claim. A listing of which HCPCS codes were not affirmed. A detailed explanation of which requirements have not been met in order for the HCPCS codes at issue to qualify to be affirmed. XIII. Impact of Home Health Pre-Claim Reviews on Small and Mid-Sized Home Health Agencies in Texas. Your costs to process a claim will be significantly higher for the next three years. The additional paperwork and effort to submit an episode for Pre-Claim Review are non-compensated and will likely prove challenging for agencies currently facing rising costs and ever-diminishing profit margins. While CMS has issued deadlines (10 business days / 20 business days) for Palmetto to issue decisions in initial requests and resubmissions, it remains to be seen whether these deadlines will be met. Home health agencies should anticipate delays, regardless of the goals that have been set for Palmetto. Even if Palmetto is able to process Pre-Claim review requests within its stated deadlines, home health agencies should expect to receive a significant percentage of denials (at least until it becomes more clear what Palmetto expect to see). These denials will result in cash-flow delays. Unfortunately, the administrative appeals process remains broken. If you are unable to obtain a provisionally affirmed decision, you will likely face 3 – 5 years appealing a denial through Medicare’s appeal process. Unless small and mid-sized agencies work to aggressively improve their compliance with applicable LCD rules, documentation, coverage and payment requirements, we anticipate a number of closures over the next three years. Robert W. Liles, M.B.A., M.S., J.D., serves as Managing Partner at Liles Parker, Attorneys & Counselors at Law. Liles Parker is a boutique health law firm, with offices in Washington DC, Houston TX, San Antonio TX, McAllen TX and Baton Rouge LA. Robert represents home health agencies and other health care providers around the country in connection with Medicare, Medicaid and private payor audit actions. Our firm also represents health care providers in connection with federal and state regulatory reviews and investigations. For a free consultation, call Robert at: 1 (800) 475-1900.